I've said several times that it is possible that the human species is the first species in the Milky Way galaxy to evolve to our level of intelligent and technology. This opinion is based on information about just how much needs to happen to allow for the spark of life in conjunction with the apparent rarity of our own solar system. The recent study Relative likelihood for life as a function of cosmic time seems to confirm this idea. Life requires stars for two reasons. Stars are needed to produce the heavy elements (carbon, oxygen and so on, up to iron) out of which rocky planets and the molecules of life are made. Stars also provide a heat source for powering the chemistry of life on the surface of their planets. 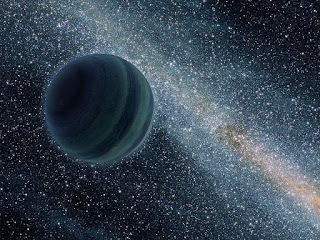 This means that rogue planets aren't likely to spark or support life. This also means that Population III and most Population II stars systems will not have life either, because they are unlikely to have the elements necessary to form terrestrial planets. That pretty much leaves us with Population I stars. What's all this about "Population"? It's a name for stars at various stages of galaxy development. Population III stars are the stars that likely formed right after the Big Bang. They have not been directly observed, so their existed is estimated. They were made up of mostly Hydrogen and Helium. As such, they are unlikely to have any planets. Population II stars are stars that are still made up of mostly Hydrogen and Helium, but have higher concentrations of elements such as Oxygen, Silicon, Neon, etc. Typically, such star systems are still unlikely to contain terrestrial planets. Many Population II stars still exist in our galaxy, though in regions without access to many heavier elements. Population I stars are stars that are yet again still made up of mostly Hydrogen and Helium, but have much higher concentrations of the more stable element Iron and other heavy elements. 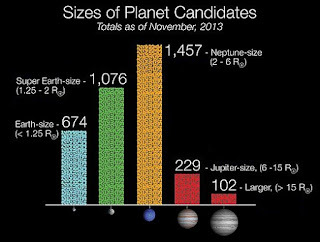 Population I star systems are much more likely to contain terrestrial planets. The Sun (Sol) is a Population I star. Why is this discussion about "Populations" important to the discussion about the arrival of human-like intelligence? At the risk of oversimplifying this a bit, I'll state that Population III stars lead to the formation of Population II stars, and Population II stars lead to the formation of Population I stars. As each generation of stars lived out their lifespans, they made way for the next generation to arise. Population I stars could not have formed 13.5B years ago; there weren't enough heavy elements around. Just as today, it is extremely unlikely that Population III stars could arise now; there's too much heavy elements around. Life is very unlikely to have occurred until Population I stars formed and supported terrestrial planets. Terrestrial planets in the Goldilocks Zone around their star then had to have the necessary events and composition to allow for the spark of life to occur, and subsequently support life until species of higher intelligence evolves. Is Earth ahead of the curve for the development of life? The previously mentioned study suggests that Earth may have developed life to the human-level a bit earlier than average. The study concludes that, "life around low mass stars in the distant future is much more likely than terrestrial life around the Sun today." Life throughout the galaxy may be far more common billions of years from now than it is today. That also means that there may not be any/many other alien species with which we can contact and interact right now. The study puts our odds at 0.1%. This could explain why we've not seen evidence of extraterrestrial intelligent life in our galaxy. Maybe we are among the very first. Others like us are so rare, we will not be able to contact each other. Maybe a billion years from now, a future intelligent species will evolve on some future (yet to exist) world, and when they point radio telescopes into their night sky, they receive a song of hundreds of thousands radio signals from just as many other civilizations. 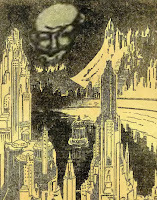 Maybe, if our species is able to continue evolving, our long-from-now-posterity becomes the evil invaders of other worlds, rather than our world being the one constantly invaded, as Hollywood would have us imagine. Maybe we are the monsters in waiting. How many Earth-like planets are orbiting Sun-like stars? Stars in the Galactic Center are so concentrated that they typically are only a few light weeks away from each other. In contrast, our local neighborhood of stars are separated from one another by light years. If we found ourselves on a planet near the Galactic Center, our nighttime sky would light up in a blazing display every night, filled with stars as bright as the planet Venus looks to us. However, would there be a habitable planet from which to see this sight? Is there such thing as a solar system being too close to the Galaxy's center to support life? The concept of Habitable Zones around stars has been studied for a couple of decades. Life similar to ours can only exist on planets that are a certain distance from their sun. This is due to the amount of energy from the sun that is received by the planet. Too much energy, the planet is too hot. Too little energy, the planet is too cold, hence the Goldilocks reference. 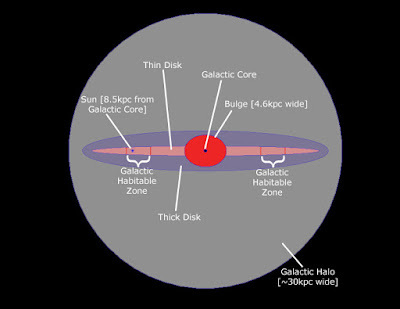 There's another type of Habitable Zone at the galactic scale which uses a somewhat different set of criteria. Solar systems which have planets that can support life must themselves be made from material that has a lot of elements that are heavier than Helium. In astronomy, elements heavier than Helium are often referred to as metals. Metal content of a star is called its metallicity. The danger is that is if a solar system is made from material that is too rich in metallicity, Earth-sized planets may not be able to exist due to the likelihood of much larger (heavier) worlds displacing those Earth-size planets. Hence, "Goldilock zone of metallicity" is the idea that certain regions of a galaxy may be too metal-rich and other regions may be metal-poor in order to allow for the presence of Earth-like worlds. Metallicity is not the only factor, however. Early intense star formation toward the inner Galaxy provided the heavy elements necessary for life, but the supernova frequency remained dangerously high there for several billion years. If a solar system is too close to the galactic core, the intense supernova frequency in a young galaxy might've keep many worlds from supporting life. This is because they would have experienced numerous blast waves, cosmic rays, gamma rays and x-rays that are fatal to lifeforms. As the collective of solar systems age and die, they would have contributed to increasing metallicity. This means, the right conditions for life on Earth-like planets may have never happened near the galactic core. Stars that are too close to the galactic core never had and never will have the right conditions to support Earth-like worlds with Earth-like life. Where can solar systems with habitable planets reside within the Milky Way? According to the study The Galactic Habitable Zone and the Age Distribution of Complex Life in the Milky Way, the inner bulge component, diffuse halo component, and a thick disk component of our Milky Way Galaxy would not likely allow for Earth-size planets to exist within the right timeframe. So, the Habitable Zone of our Milky Way Galaxy isn't even really based on distance from the galactic core. It's a somewhat washer-shape region in between all the places that Earth-sized planets cannot exist within solar systems. We identified the Galactic habitable zone (GHZ) as an annular region between 7 and 9 kiloparsecs from the Galactic center that widens with time and is composed of stars that formed between 8 and 4 billion years ago. Knowing our Milky Way's Habitable Zone helps us in the search for life on other worlds. We can focus more efforts on this space. This isn't to say that this is the only space where life can and does reside. The Galactic Habitable Zone is just our safest bet for finding evidence of life. A hypothesis is a proposed or suggested explanation for a phenomenon. The hypothesis is stated in such a way as to allow for scientific testing for specific expectations. The hypothesis must be testable in a falsifiable manner. That means, to test the hypothesis, you must be able to conceive of and test methods that can potentially disprove the hypothesis. 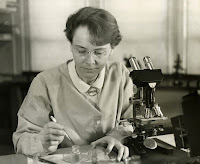 The value of the hypothesis is that it allows us to simplify initial observations into a testable statement so that we can determine if the basis for the hypothesis is true or false. You can test to find supporting evidence for the hypothesis. You can also test to find refuting evidence which disproves the hypothesis. There is a subcategory of hypotheses called working hypothesis, which have some evidence to support them. As such, they are tentatively accepted as a basis for further study. A theory is a substantiated and unifying explanation for some aspect of the natural world. Substantiation is acquired through the Scientific Method, with repeated testing and confirmation using written and predefined protocols for observations and experiments. Theories are testable and make falsifiable predictions. They allow for predictions to be made about a phenomenon, and they also explain the causes for the phenomenon. Theories are typically formed by consensus by many different people over a substantial period of time. Theories aren't just thought up by one individual and then magically accepted by everyone else. They are often heavily debated while they are being formed. This debate drives further hypotheses and experimentation that eventually helps develop the theory. Theories are not absolute points. Once you have a theory, that doesn't mean the matter is settled. It just means that the evidence up to that point allows you to create a structure that provides both reliable predictions and explanations for phenomenon. Theories are often modified or replaced when better structures allow for better predictions and explanations. A classic example of the process of debate to come to an eventual consensus is the Big Bang vs. Steady State theories debate, in which experimentation on both sides eventually lead to a much better understanding of our Universe. A model is a often overlooked scientific tool to make a particular aspect of the natural world easier to understand, define, quantify, visualize or simulate based on commonly accepted knowledge. Modelling requires selecting and identifying relevant aspects of a situation in the real world, then applying techniques such as conceptual models to better understand, operational models to operationalize, mathematical models to quantify and graphical models to visualize the subject. A model seeks to represent empirical objects, phenomena, and physical processes in a logical and objective way. All models are in simulacra, that is, simplified reflections of reality which allow for useful approximations. A model is evaluated by its consistency to empirical data. Inconsistency or irreproducibility of observations must force modification or rejection of a model. A model must be able to explain past observations, predict future observations and have refutability, just like theories from which the models are typically built. "Laws are descriptions — often mathematical descriptions — of natural phenomenon; for example, Newton’s Law of Gravity or Mendel’s Law of Independent Assortment. These laws simply describe the observation. Not how or why they work." Laws are compact generalizations about data. As with other scientific elements, laws are not immutable. As more information is learned, laws can be changed. It is important to note that laws can exist without theories. Sometimes laws exist for many years before theories explain their causes. A principle is really just a law that is true by definition. The terms law and principle are often used interchangeably in Science. A principle is not a higher grade above a law. In fact, if you look up "Scientific Principle", your searches will inevitably lead to information regarding laws. Some persons have suggested that laws can typically be reduced down to precise math formulae, such as the Laws of Thermodynamics and Ohm's Law. Conversely, the suggestion is that principles are more general descriptions of the nature world. Examples of such principles are Principle of Original Horizontality and Pareto Principle. However, even this comparison is not an absolutely held distinction. For example, Heisenberg's Uncertainty Principle is highly mathematical in nature. Conversely, the Law of Superposition has no mathematical reduction. So even math provides no real distinction between the use of the words principle and law in Science. I guess the confusion about the relationships between laws, principles, hypotheses, theories and models is that it is not hierarchically ordered. It seems counter-intuitive that Science, being the mechanism that has brought so much order to our understanding of the world, is itself not similarly ordered. But, there's good reason for this. Science doesn't work in absolutes. Nothing is absolutely knowable. As such, everything we know is subject to be revised based on what we later learn. Having some sort of truth gradient would slow down the progress of learning since managing such grading would be an unnecessary distraction from the search for knowledge. Another factor is that that carbon and the molecules that are formed from carbon seem to be very common in our galaxy, being found in interstellar space, other planets, comets, asteroids and space dust. Organic material seems to be everywhere. There is a nebula that is practically made of alcohol. Perhaps are search for exoplanet life needs to extend beyond simply looking for water. Maybe our search should include crosschecking with a search for carbon. According to On the probability of habitable planets, there are four types of habitability on planets that may harbor life in some form. Class I - Habitats where conditions allow for water on the surface, and where energy is primarly provided by the planet's sun. This is the most Earth-like class. Class II - Habitats where the planet may have had water on the surface early on, but conditions did not allow the planet to retain that water. This is most Mars-like class. Class III - Habitats where significant water exists below the surface, and where such underground oceans can interact with a silicate-rich core. This planets may be too far from their sun to have surface liquid water, but via some process, such as geothermal heating, liquid water is present within the planet. This is the most Europa-like class. Class IV - Habitats where a lot of liquid water exists above an icy layers. Oceans may actually be sandwiched between ice layers. Ganymede and Callisto may represent this class. Is complex and even intelligent life possible on any of these classes? It seems that the most likely class that would have complex life is Class I. But, of course that is based on assumptions and biases born from our own example. Classes II, III and IV may extend the limits of what is considered to be the Habitable Zone around a star. Another factor is the CO2 cycle. Perhaps the CO2 content of a planet will allow that planet to retain more heat from its sun. It turns out that a thick CO2 atmosphere may be one of the most efficient solutions for keeping a planet warm. This is not only due to the properties of the CO2 gas itself. 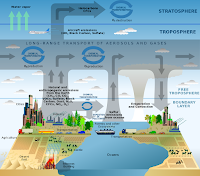 However, taking into account the radiative effects of the CO2 ice clouds, which tend to form in such thick CO2 atmospheres allows further increases in the warming of the surface thanks to a cloud “scattering greenhouse effect”. Taking into account this process, the outer edge of the habitable zone has been extended as far as 2.5 AU. In other words, CO2 in the right mixture within a planet's atmosphere may extend the outer limit of how far a way a planet can be from its sun and still be warm enough to support life. But, other factors must be explored. [A planet] staying in the habitable zone is obviously not sufficient for a planet to continuously maintain liquid water on its surface: it must have an atmosphere which keeps the surface pressure and the surface temperature (through its greenhouse effect) in the right range, for billions of years. 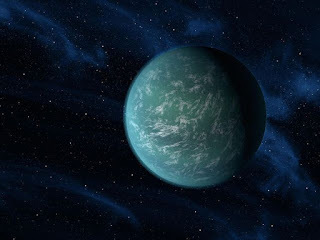 In addition to forming the correct atmosphere necessary to support life, a planet must also be able to keep that atmosphere for a very long time. Also, that atmosphere may need to change over time in order to adjust to changes in stellar output. For example, a planet has to be large enough (or have enough gravity) to keep its atmosphere from escaping, not just as a result of simply drifting away, but also to counter the effect of stellar wind and other star related phenomenon. Plate tectonics is another factor that may be important to a planet's ability to support life. Plate tectonics manage planetary cycles, such as CO2. The process of how a planet develops plate tectonics on a global scale is not well understood. However, when examining the two examples of planets of similar size within our own solar system, Earth and Venus, the key difference appears to be water. Perhaps the higher water content of Earth enables plate tectonics. How special is Earth, after-all? Would an equivalent to plate tectonics be necessary on class III and IV planets? For those same classes, atmospheres may not be a factor at all, since oceans would be underground. What other cycles would be necessary in such classes? How many class I planets with a long term atmosphere and plate tectonics are in Habitable Zones? There's a lot of open questions. Another question I have, would we be able and willing to seed Terran lifeforms on these other classes planets (and moons), even within our own solar system, even if we do not intend to colonize them for ourselves? I've posted other articles about the possibility of life in our Galaxy based on what is known right now. 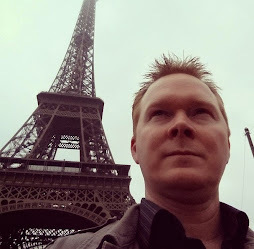 For this article, after going into some concepts from a somewhat recent study, I'm going to speculate a bit based on the suggestion by that study that life was possible for a very specific period of 10 million years to 17 million years after the formation of the Universe. The study is The Habitable Epoch of the Early Universe. What is significant about this very specific period after our Universe's formation? 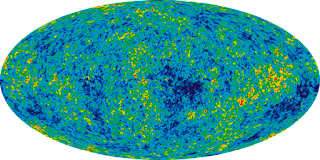 According to the study, the cosmic microwave background provided a uniform heating source that was between 0 to 100°C (the melting point and boiling point of water at 1atm) during 10-17 million years after the formation of our Universe. This means that there was no Habitable Zone around stars since the entire Universe was one gigantic habitable zone (except maybe being too close to a star). There's a catch. Stars that formed immediately after the Big Bang were very different than the stars we now see. The only two elements available in the Universe were Hydrogen and Helium. 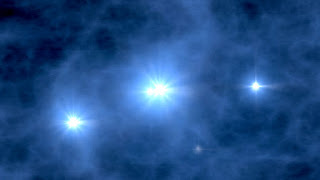 These early stars are referred to as being metal-poor, lacking access to elements heavier than than Helium. There is speculation that the very first stars where actually extremely metal-poor. Material from which terrestrial planets could have formed simply wasn't available yet. When these first stars died, they produced the elements necessary for the formation of planets and metal-rich stars. The death of these stars had to happen very quickly in order to meet the criteria necessary to consider life being possible so early in our Universe's existence. In order for rocky planets to exist at these early times, massive stars with tens to hundreds of solar masses, whose lifetime is much shorter than the age of the Universe, had to form and enrich the primordial gas with heavy elements through winds and supernova explosions. Cosmic simulations suggest the formation of massive early stars that explode relatively quickly. Gravitational lensing also suggests the formation of such stars in the earliest galaxies. Given the possibility for such stars and such explosions of such stars, planet formation early in the Universe was also possible. Given the cosmic microwave background heat of the Universe, the likelihood of planets with water on their surface was again also possible. On the plus side for these planets, once the cosmic microwave background cooled down after the 17 million year mark, the planets themselves may have been able to keep warm enough on their own for quite awhile, even without a nearby star. Although the study The Habitable Epoch of the Early Universe suggests that life may have been possible in the early Universe, much of that life may not have survived past 17 millions years after the Big Bang unless it was lucky enough to be in the Habitable Zone within a solar system that included a very stable star. However, even if the life didn't survive, the organic matter from which the life formed may have survived. The survival of this life or its material could have seeded the later Universe, drastically increasing the chances of life reemerging. Some speculate life on Earth originates from extra-solar system sources. Perhaps the material necessary for the emergence of life was already in the mix from which our Sun formed. The mechanism for such transference of life and materials is called Panspermia, or specifically, Pseudo-panspermia and Lithopanspermia. It seems there would have been a substantial gap between the first wave of early life and the next wave of life; this next wave presumably being the epoch within which we find ourselves now. How might species from the early epoch be viewed by species of the current epoch? From a Science Fiction perspective, such early life may have evolved to sentience very early in our Universe's existence. Being so close to our Universe's beginning and having so long to evolve may have allowed these early species to development god-like powers by now. Such species may be Q of Star Trek: TNG, Time Lords of Doctor Who, Nibblonians of Futurama, and perhaps less god-like Precursors of Star Control II and Progenitors, also of Star Trek: TNG. Would signs of god-like species be discernible to us young species? We wouldn't likely see evidence in the form of direct radio signals, as such species would have long since evolved beyond such primitive methods of communication. Perhaps we could catch a glimpse of these early species in the earliest days of their development via EM signals they emitted billions of years ago, from distance galaxies. We'd have to know where to point our detectors. Signals from ancient civilizations within our own galaxy would have passed us by billions of years ago. However, signals from ancient civilizations in galaxies billions of light years away would be reaching us at the same time as the rest of the light from those galaxies. Such signals would be faint and scattered, but they may be just distinct enough to discern from the background noise. For example, at certain times of the year, Earth glows at certain EM frequencies much brighter than any other object in our galaxy. A similar civilization billions of years ago in a galaxy billions of lights away might be obvious to us once we start looking for such phenomenon. The idea that life may have developed so early in our Universe's existence opens up a Universe of possibilities. Our understanding of our origins may be even effected by this concept. On the other hand, maybe life in our Universe wasn't possible at all until very recently. Maybe we are one of the first species to develop sentience in all of the Universe. I'll cover more about this in a later article. How many Earth-size planets are orbiting Sun-like stars? In the search for planets that may be habitable outside of our own solar system, one of the elements that should be considered is planet size. Planet size is important for various reasons. There is evidence that suggests that plate tectonic activity on a global level is a necessary factor for supporting life on a planet similar to Earth. Planets must be of a particular size in order to allow for global plate tectonics. 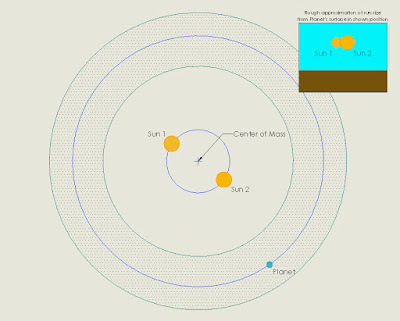 Larger planets (between the range of Mars and Earth) may be necessary to maintain an atmosphere with the right composition to support life. Based on the limited examples available within our own solar system, life may require specific conditions that are associated with Earth's size. ...the nearest such planet is expected to orbit a star that is less than 12 light-years from Earth and can be seen by the unaided eye. That's not only a lot of planets, 12 light-years is a distance that seems at least somewhat reachable with technology that is currently being investigated. Recently, such a planet seems to have been discovered around the closest star to our own, Proxima Centauri. 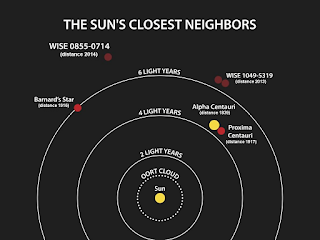 Technically, Proxima Centauri cannot be seen with the unaided eye on its own, but rather as part triple star system that appears as one the dot in the Southern Hemisphere sky called Alpha Centauri, but close enough (literally). Future instrumentation to image and take spectra of these Earths need only observe a few dozen nearby stars to detect a sample of Earth-size planets residing in the Habitable Zones of their host stars. The number of Sun-like stars in the Milky Way Galaxy is said to be about 10%. * The number total stars is a matter of debate, but it often stated as 100 billion stars. 10% of that is 10 billion stars. Therefore, 22% of 10 billion is 2.2 billion stars. With that determined, how common are planets that are so similar to Earth that events naturally occur in the right sequence to spark and nurture life? How likely is that life to evolve to develop the human-level expression of intelligence and curiosity? What is the likelihood of any of species developing in the same timeframe as us? Are other species close enough to us to communicate with us? Should we really trying to reach out to these others? Some of these questions will be addressed in further articles. *10% is stated by multiple tertiary sources for "sun-like" stars, and 7.5% is stated for "g-type" stars, but I could not verify these percentages from any original sources. 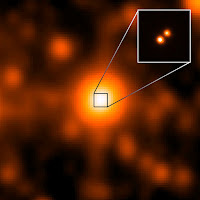 It's hard to talk about planets in binary (dual) star systems without mentioning Star Wars: A New Hope. The famous scene of Luke Skywalker standing and looking off into the distance while two suns appear near the horizon is iconic. However, there's a problem with that iconic scene. The problem is a not full-fledged error, just an unlikelihood: both suns appear as the same size in the sky in very close proximity to each other. The reason this is unlikely is due to the two types of planetary orbits in binary star systems: s-type and p-type. A planet in either type of binary system would rarely see both suns as the same size in the sky and that close to each other, even if the suns are the same size. S-type is the name for the orbit of a planet that revolves around just one of the two stars within a binary system. P-type is the name for the orbit of a planet that revolves around both stars within a binary system, having a common barycenter (or center of mass) with the suns as the suns orbit around each other. S-type orbits are interesting, but for this article, I'll cover P-type because this is more interesting to me when talking about Habitable Zones, particularly where the suns have similar masses. Of course, even with p-type orbits, there exist many possible varieties for how the suns can orbit each other. The ability of a planet to maintain liquid water depends on the interaction between stellar radiation and the top of its atmosphere. Also, that interaction is complicated in a binary system. There can be substantial difference in energy received by the dual suns. Sometimes both suns appear side by side in the sky, providing maximum energy. However, when one sun is eclipsed by the other, the amount of energy is lessened due to the closer sun blocking the stellar radiation from its partner. This interaction strongly depends on the stellar spectral energy distributions implying that stars with different energy distributions will contribute differently to the absolute incident flux at the top of the planet’s atmosphere. Even with all of these factors, planet formation within the Habitable Zone of a binary system would be similar to that of a singular star system. 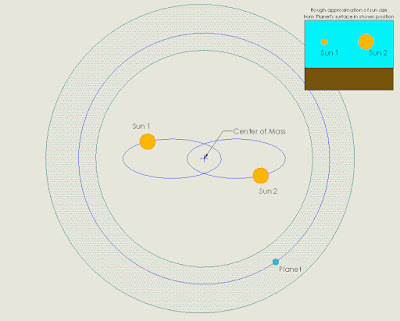 Where two suns are of the same size, their location to the planet can vary greatly depending on the size of their orbit around their common barycenter. If there is a wide orbit, it is safe to assume that one sun will provide more energy than the other sun which is farther away. In this case, the further sun would appear smaller in size within the sky, even though both suns are of the same mass. The graphics above suggest why the iconic Star Wars scene isn't likely accurate. The scene is possible maybe one or two times per year if the suns are in similar orbits which are tight and circular; or in rare instances where the suns have elliptical orbits and the planet just happens to be in the right place at the right time. 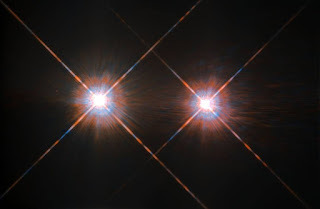 Here's a close up of Alpha Centauri A and B. Their distance from each other can be as much as 11 AU's, which would make a type-p planetary orbit so large, that habitable planets would be unlikely. Planets have been discovered in type-s orbits around Alpha Centauri B and their sibling Proxima Centauri. Out of all the odd scenarios that might be possible in our Universe, the thought that there might be habitable planets around White Dwarfs is one of the stranger ideas, in my opinion. Imagine what it would be like to look up to see a White Dwarf dominating the daytime sky. How close would the planet have to be to the star to receive enough light and energy to support life? How would a planet find itself within the Habitable Zone around a White Dwarf? This last question is particularly interesting because White Dwarfs are the remains of a Red Giants. Red Giants are the last phase of fusion based main sequence stars. Between White Dwarf, Red Giant and main sequence phases, a star changes so drastically that it is unlikely planets close to the star would survive into the next phase. Some very interesting things need to happen for a planet to form within the Habitable Zone of a White Dwarf. With main sequence stars, the Habitable Zone slows moves away from the star because the star slowly gets hotter. A planet that starts out within the Habitable Zone of a young main sequence stars may not remain within the Habitable Zone for the full length of that star's life-cycle. Oddly enough, White Dwarfs have the exact opposite problem. White Dwarfs cool down as they age. Habitable Zones around White Dwarfs will shrink until being too small for any sizable planet to exist within it. The Habitable Zone around a White Dwarf is very small compared to that of Sun. 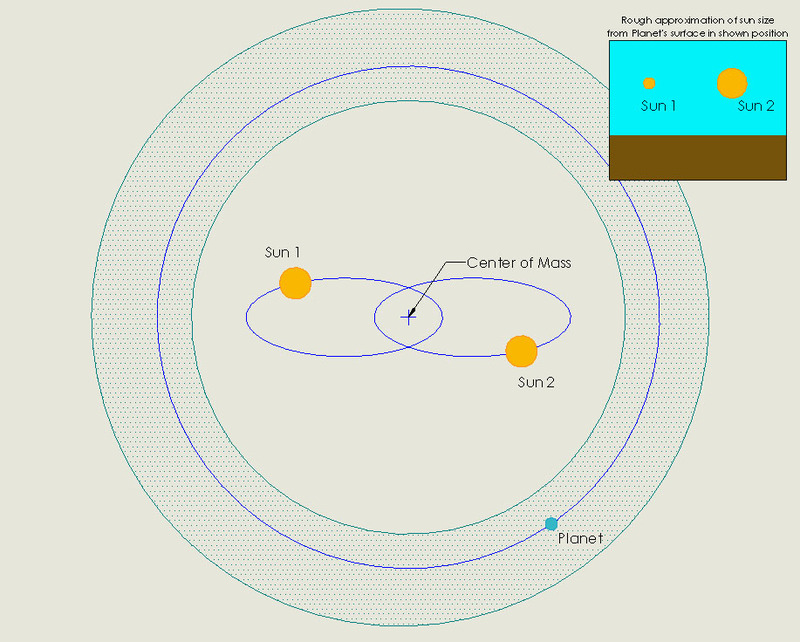 The Habitable Zone around Sun is roughly between the orbits of Venus and Mars. The Habitable Zone around a White Dwarf is much closer than even the orbit of Mercury around Sun. It seems a planet that close to a White Dwarf cannot exist without some special events. How do planets get to the Habitable Zone? A planet could have existed in the previous solar system during the main sequence star phase, but much further out; so far out that it may not have been previously habitable. When the main sequence star expands to become a Red Giant, then explodes to leave a White Dwarf, the planet would have to move from the outer reaches of the solar system to a stable close orbit. This sounds incredible, but apparently it is possible since planets have been discovered around Neutron Stars, which go thru even more violence. Another possible scenario is it the matter ejected from the exploding Red Giant, or other remaining debris within the solar system somehow creates a new accretion disk around the newly formed White Dwarf, from which new planets could form. Even if either of these scenarios do happen, a water related challenge presents itself. A lot water must somehow remain or be (re)introduced on these special planets. Water is likely stripped from any existing planet that moves so close to the White Dwarf. Water is also unlikely to be available on any planet that forms so close to any star, White Dwarf or otherwise. Maybe these planets could gather new water via the same processes as Earth, possibly "delivered to by a barrage of comets." 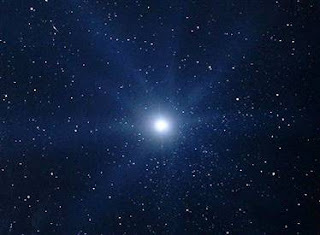 If a planet is lucky enough to form around a White Dwarf, what's that White Dwarf going to look like in the sky? White Dwarfs have a lot of mass, but they are very small in size. White Dwarfs are about the same size as Earth. By my rough calculations, the Habitable Zone around a White Dwarf is about 5 times the distance of Earth to the Moon. So, I image the White Dwarf would appear several times smaller in the sky as the Earth appears to the Moon. Maintaining habitability of planet around a White Dwarf might be a bit like trying to keep warm outside on a freezing night next to a slowly fading campfire. The previous article Limited lifespan of Habitable Zones around other stars (September 2016) covered the topic of Habitable Zones for planets around other solar systems. However, Habitable Zones are only one of considerations for finding other stars with habitable planets. Given the lack of data right now, sometimes science has to fall back on simulations. These simulations do not replace actual observations. Instead, they offer clues as to how we may be proceed in our search for hard data. Habitable Zones appear to be more stable and longer lasting around small stars, such as Red Dwarfs. 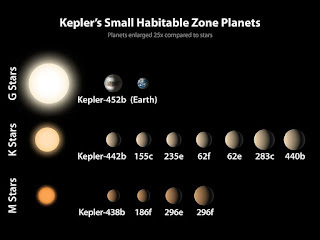 However, what are the chances of habitable planets appearing in these small zones around these small stars? It turns out that the chances may not be good. According to the study A Decreased Probability Of Habitable Planet Formation Around Low-Mass Stars, multiple simulations suggest that low-mass stars are unlikely to have terrestrial planets of sufficient size within their Habitable Zones. This is due to a several factors. That's not to say it is impossible nor improbable; just not as common as previous thought. Besides Habitable Zones, another factor to consider is the Habitable Planet Mass Limit. There is evidence that suggests that plate tectonic activity on a global level is a necessary factor for supporting life on a planet similar to Earth. Planets must be of a particular size in order to allow for global tectonics. The lack or presence of global tectonics seems to be a factor in the differences between Venus and Earth. Though Venus seems to be large enough, its surface heals too quickly to allow for global tectonics. The examples within our own solar system suggest that even when planets are large enough, there is no guarantee they will have global tectonics. Another factor is the Protoplanetary Disk. 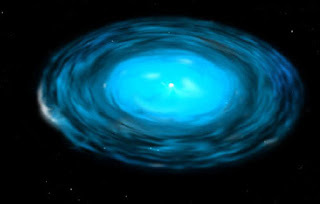 During the planet formation phase (accretion), there has to be enough material within the disk of matter that forms around very young stars (Protoplanetary Disk) in order produce larger planets. Though there are a lot of unknowns regarding this factor, the "ratio of disk mass to stellar mass is roughly constant with stellar mass". Also, planets seem to form much faster around small stars for various reasons. With less time to form and less mass within the Protoplanetary Disk, planets around low-mass stars may typically be much smaller. A second issue with fast forming planets is that they are much less likely to have enough time to collect enough water to support life. Nothing is absolute. Gliese 581 is a Red Dwarf that has a number of large planets, and also has a debris disk that appears to have tens times amount of comet debris than our own Solar System. This suggests low-mass stars can have habitable planets. That said, Gliese 581 may be an outlier. Other factors are obviously involved that need further study.